On the eve of the Spring Festival, the Shenzhen Science and Technology Awards Committee Office announced the winners of the “2018 Shenzhen Science and Technology Awards Five Awards”. Shenzhen Qianhai AnyCheck Information Technology Co., Ltd. (a subsidiary of E-Techco Group) declared the “Chronic Disease Management System R&D and Industrialization Project” and won the “Second Prize of Shenzhen Science and Technology Progress Award”. This is the “Qianhai AnyCheck Self-service Health Monitoring Intelligent Integrated Machine” and the “Anzhen Chronic Disease Management Platform” selected by the Ministry of Industry and Information Technology, the Ministry of Civil Affairs and the National Health and Health Commission for the promotion of “Smart Health Pension Products and Services Promotion Catalogue”, 'An It is another important honor that the four health medical technologies such as the Health MFP have won the "China Patent Excellence Award". The Science and Technology Progress Award is a full affirmation and honor for the scientific research and industrialization of individuals or units at all levels of science and technology in China. Generally, it will only give outstanding technological innovation, significant economic or social benefits, and obvious effects on promoting scientific and technological progress in the industry. Chinese citizens and organizations. Qianhai AnyCheck won the “Second Prize of Science and Technology Progress Award”, fully demonstrating that its technical research and development strength has been recognized by the national authority. Its technical achievements have passed the market inspection and have been highly recognized by market customers, laying a foundation for Qianhai AnyCheck as a leader in the field of smart medical care. A solid foundation. 3) It can build a comprehensive and multi-dimensional chronic disease management system, truly implement the family doctor service model, save medical resources, and realize chronic disease early treatment and early prevention. The transformation of the technology and the application of the market not only improved the overall technical level of Qianhai AnyCheck, enhanced the company's revenue, enhanced the company's core competitiveness, but also promoted the development of the smart medical industry and produced good social benefits. 1) In terms of technological progress: Around this technical achievement, Qianhai AnyCheck applied for a total of 82 patents and soft-senses, including 26 patents granted, 38 copyrighted software copyrights, and 18 invention patents under review. At present, Qianhai AnyCheck has won four China Patent Excellence Awards, and is an intellectual property advantage enterprise of the State, Guangdong Province and Shenzhen City, and a demonstration enterprise of intellectual property rights of Guangdong Province. 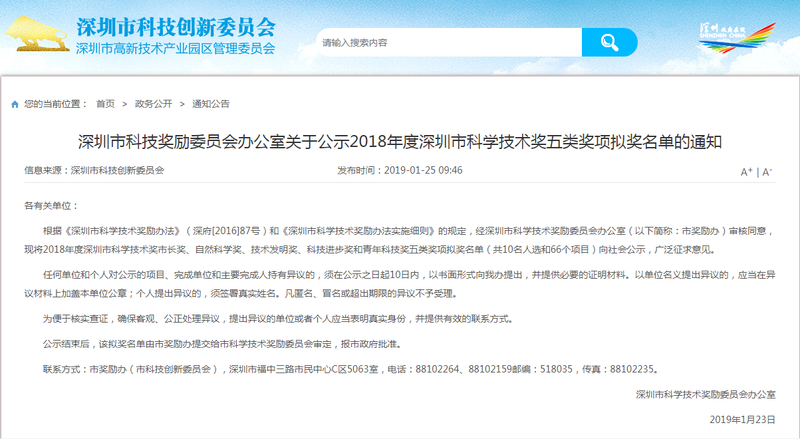 In addition, Qianhai AnyCheck ranked first in the world in the field of smart medical applications and fourth in the world, and ranked 38th among the 2018 Chinese companies in the PCT international patent application TOP100. 2) In terms of application promotion: At present, Qianhai AnyCheck is a demonstration enterprise of smart health care application for the Ministry of Industry and Information Technology, Guangdong Province Chronic Disease Big Data Engineering Technology Research Center, Guangdong Health Management Internet Engineering Technology Research Center, Internet Medical and Health Service Academician Workstation, etc. This, on the other hand, reflects the affirmation of the technological achievements of Qianhai's security technology by the scientific and technological departments at all levels in the country. 3) In terms of market breakthroughs: At present, the technical achievements have been successfully applied to more than 650 hospitals and more than 450 community medical institutions nationwide, including more than 300 social health centers in Shenzhen, Nanshan, Shenzhen, and Guangming Chronic Disease Prevention and Treatment Institute. Shenzhen Maternal and Child Health Hospital, Xi'an Jiaotong University First Affiliated Hospital, Beijing Puren Hospital, Guangzhou South Medical University Integrated Chinese and Western Medicine Hospital, Tianjin Baodi Hospital and Xiqing Hospital. 4) In terms of social recognition: Qianhai AnyCheck's scientific and technological innovation in AI medical care has been widely recognized and praised by leaders and the scientific community and the medical and health community. Professor No. Award winner Professor Edward Moser and Nobel Prize winner Craig Mello, Nobel Prize winner Professor Ada Yonath, Nobel Prize winner Arieh Warshel, member of the Political Bureau of the CPC Central Committee and Vice Chairman of the National People's Congress Wang Chen, Vice Chairman of the National People's Congress Chen Hao, Vice Chairman of the National Committee of the Chinese People's Political Consultative Conference He Wei, Guangdong Provincial Committee Deputy Secretary and Governor Ma Xingrui, Tsinghua University Party Secretary Chen Xu, Tsinghua University President Qiu Yong, Hong Kong University President Zhang Xiang, Tsinghua University Shenzhen Graduate School Party Secretary and Tsinghua University Shenzhen Alumni Association Chairman Wu Xiaofeng, Tel Aviv University President JOSPHER Professor, Yan Yanhong, Party Secretary of the State Administration of Traditional Chinese Medicine, Yu Wenming, Director of the State Administration of Traditional Chinese Medicine, Wang Weizhong, Deputy Secretary of the Guangdong Provincial Party Committee and Secretary of the Shenzhen Municipal Party Committee, Wu Yihuan, Deputy Mayor of Shenzhen Health, and Vice Chairman of the Shenzhen Municipal CPPCC Chairman of Shenzhen and Director of Shenzhen Hospital Management Center Wang Daping, South Wang Qiang, Secretary of the Mountain Committee, Zeng Yi, the head of the Nanshan District, Lu Yuyin, Secretary of the Futian District Committee, Tao Yongxin, Secretary of the Pingshan District Party Committee, Li Yong, Pingshan District, Li Cong, the deputy head of the Nanshan District, Xie Bingwen, the deputy head of the Nanshan District, and the vice chairman of the Nanshan District Political Consultative Conference Huang Xianfeng, Director of the Health Bureau, Liu Genping, Vice Chairman of the Nanshan Political Consultative Conference, Wang Yanxia, Deputy Director of the Qianhai Administration, Sun Meihua, Deputy Director of the Shenzhen Weijian Committee, Zhang Hong, Chairman of the Zhigong Party Futian and Director of the Shenzhen Emergency Center, Guangdong Traditional Chinese Medicine Directors Xu Qingfeng, Yao Jianwei, Academician Qian Wei, Academician Zheng Bin, Academician Yao Yudong and other leaders and experts at all levels have highly affirmed and strongly supported Qianhai AnyCheck's scientific and technological innovation in the field of smart medical care. Overall, the application and promotion of this technical achievement at various levels of medical institutions not only improved the medical health level of the majority of middle-aged and elderly people, chronic diseases patients and sub-health groups in China, but also reduced the public health burden of chronic disease prevention and treatment. It will make greater contributions to the development of medical integration and health in China.